This is a family run hostel. Our room was very clean. The owners (father and son) were super helpful and answered all our enquiries very efficiently. They are such a great people! Definitely recommend this hostel if you are going to be in Pushkar. 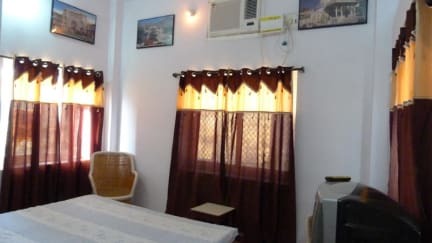 My daughter and I stayed at Keshav for two nights and it was very clean and comfortable and a 10min walk to lake. The people running this place are excellent and eager to please, its obvious they take pride in their hotel. There's a nice little outdoor balcony area for guests to sit, eat, read etc. Sensational value for $. I had a fantastic stay at Keshav Palace! Great location and very helpful staff. It was clear to me that the owner wanted me to enjoy my stay and went out of his way to accommodate my needs, from help with booking onward travel, to help with flight issues, and even offered me a New Years discount! Food is available at the hotel and the servings were good of good proportions, reasonably priced and tasty. I will definitely stay here again when I revisit Pushkar! 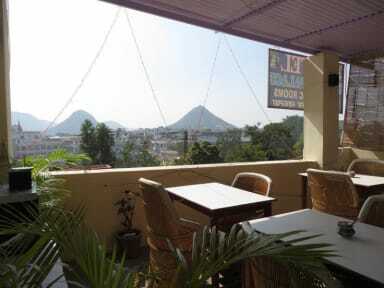 Proper hostel, nice building, clean and well located to visit pushkar. Very helpful owner and staff - arranged a taxi to jaipur airport. On a different note please also check google review on the Raghunath Temple @ pushkar lake. Do not accept flowers to be thrown in to the pond! Best avoided during day time. This place was incredible value for money and I highly recommend. It is a family run place and the staff are so kind and make you feel very welcome. Our twin room was comfortable, clean and spacious. We only stayed one night but would definitely return! Nice and quiet! Not far away from the market an Pushkar lake - like actually anything there. My room was clean and comfortable. The owner of the place was really kind and always helpful. The place is located outside the center but pretty close. You can go anywhere in a 10 minutes walk. It is pretty save, managed by a father and a son. The father is an absolute delight, great man, always conserned about you and your desires. I would recommend it! The price was ok, but I think you could get a better price elsewhere.. The location is the only real problem with this place as it's near the road and the horns are so annoying! What is up with the Indians and their horrible horrible horns?? The staff was really nice and so no complaints there.. If noise don't bother you I'd say go for it! This was a nice place with helpful staff and basic, clean rooms. Only downside is it had zero atmosphere, was really quiet and felt just like a budget hotel.